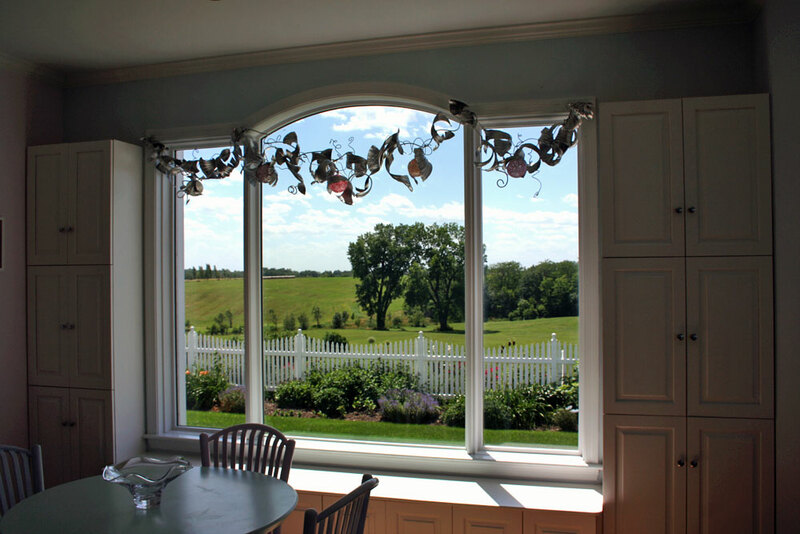 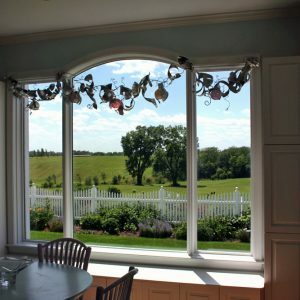 The entry room features a garland that was carefully designed to reflect the gardens and Iowa landscape viewed through the window without obstructing this view. 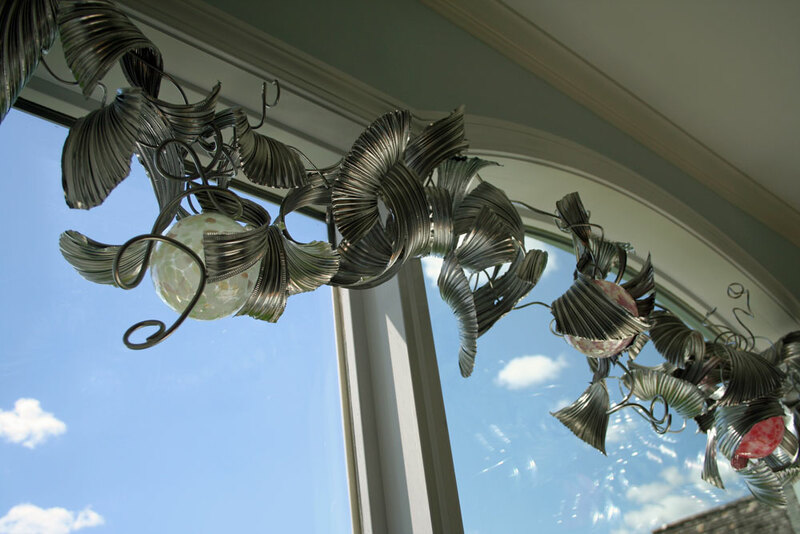 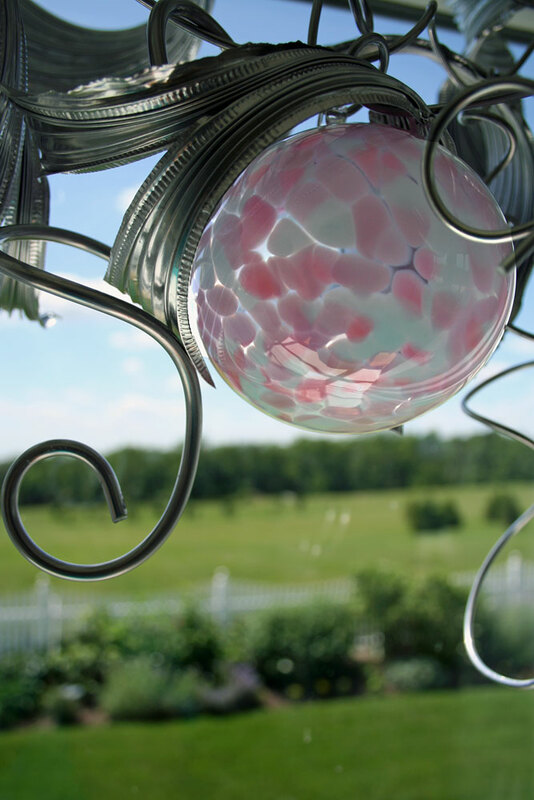 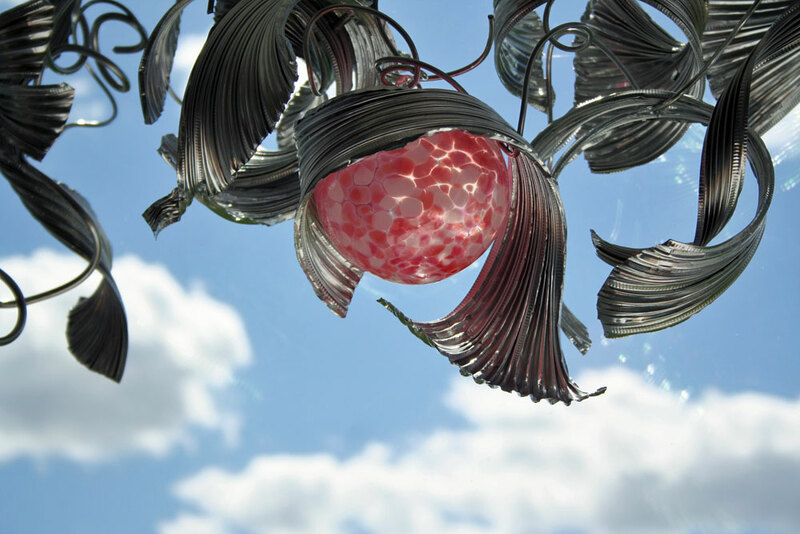 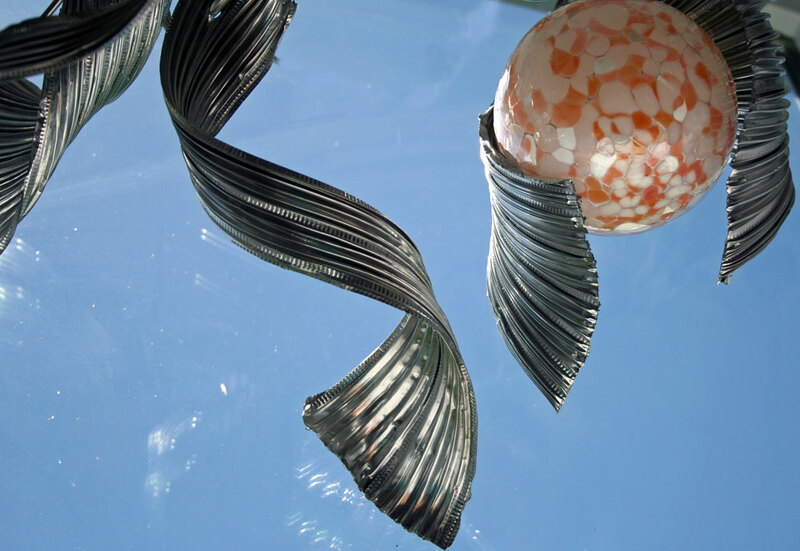 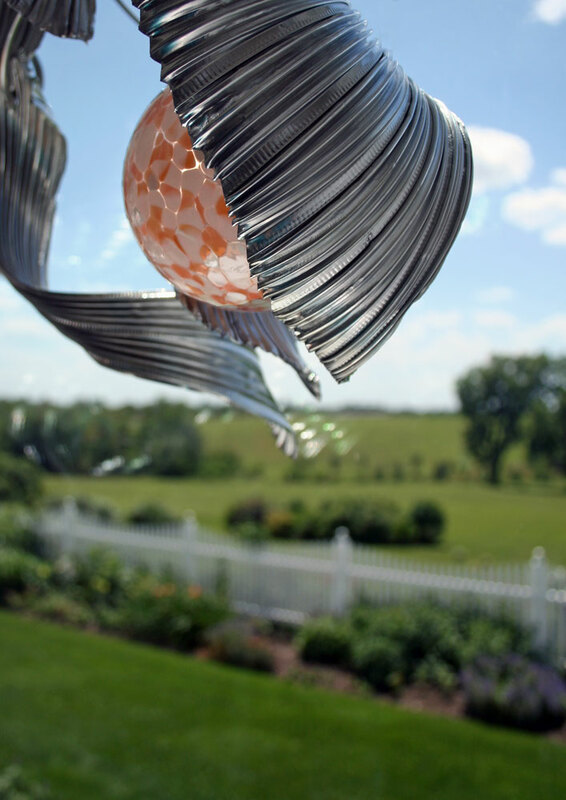 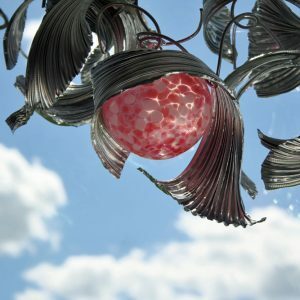 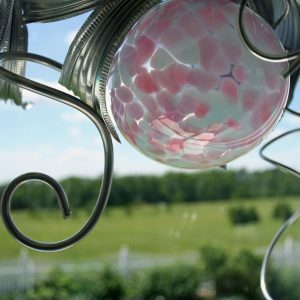 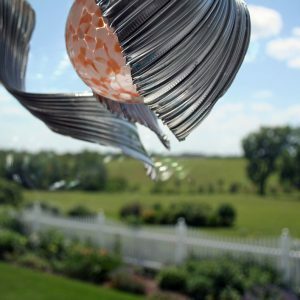 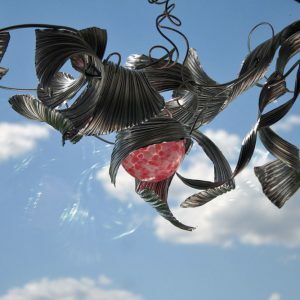 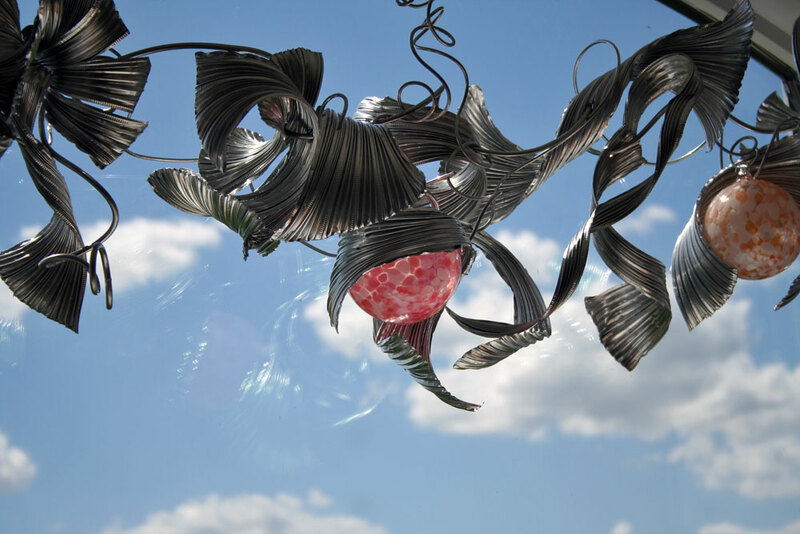 Aluminum ribbons flare into leaf-like forms that both enclose and reveal the glass globes. 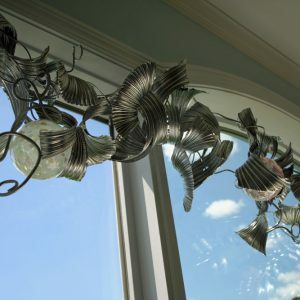 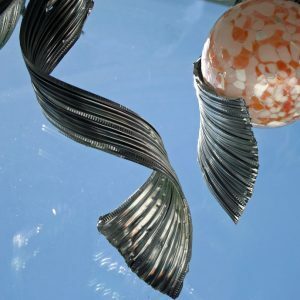 For photos of the other two components of this installation see Metal Ribbons I.